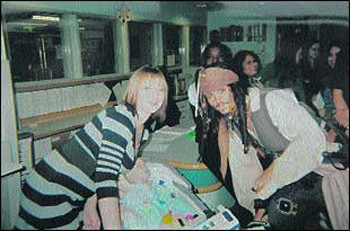 Captain Jack visiting Great Ormond Street hospital. . Wallpaper and background images in the Johnny Depp club tagged: johnny depp jack sparrow potc public appearances actor. This Johnny Depp photo might contain street, city scene, urban setting, sign, poster, text, chalkboard, and diner.